The Worthington is made to be a home model version with professional parts. The exterior of the table is made with a wood grain two toned look to match the look of your home woodwork. It features dual ball returns, hollow rods, wooden handles, and the newer Tornado bearing parts. 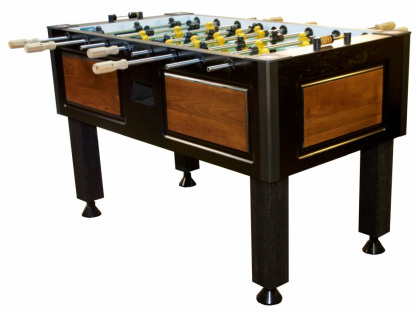 In recent years Tornado has made an attempt to design the exterior of their tables to look more like a furniture piece than a standard game table. Many companies have started going this direction and this model is a good example of that.